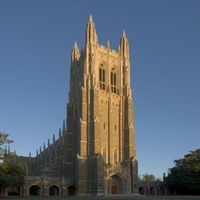 Duke University professor Megan Neely sent an email last week to her program’s first and second year students asking them to “commit to using English 100% of the time” in professional settings, according to news reports. The backlash was swift and Neely has since apologized and stepped down as director of graduate studies for the biostatistics department. She will remain an assistant professor of biostatistics and bioinformatics. 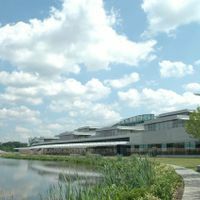 In her email, Neely wrote that other faculty members had approached her with complaints about students speaking Chinese “VERY LOUDLY” in study areas. The unnamed faculty members also requested photos of the program’s students so they could remember them in future internship interviews or if they asked to work with them on master’s projects. “They were disappointed that these students were not taking the opportunity to improve their English and were being so impolite as to have a conversation that not everyone on the floor could understand,” Neely wrote about her colleagues. Pictures of her email were soon posted online and widely shared. 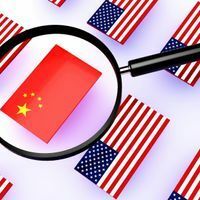 “Many pointed out that the students were conversing with one another during what appeared to be their own time, outside the classroom—and that the United States does not have an official language anyway,” writes The Washington Post. Some questioned whether these students were singled out because they were speaking Chinese as opposed to other languages. Neely sent a similar email in February 2018, reports CNN. “Beyond the obvious opportunity to practice and perfect your English, speaking in your native language in the department may give faculty the impression that you are not trying to improve your English skills and that you are not taking this opportunity seriously,” she wrote at that time. The Duke Asian Students Association and the Duke International Association issued a joint statement condemning the emails. 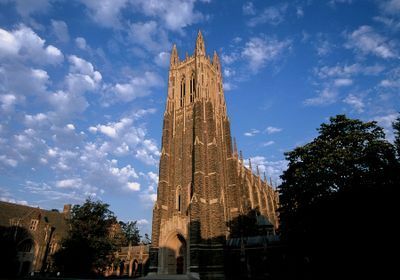 “This behavior is not only hypocritical—given Duke’s dependence on international students and faculty for their undergraduate and graduate programs, desire to present itself as a ‘global university,’ and partnership with Duke Kunshan University—but also discriminatory,” they write. On Saturday, the dean of Duke’s School of Medicine Mary Klotman sent a letter to the biostatistics students apologizing for Neely’s email and acknowledging the anger and hurt it caused, reports the Post. “To be clear: there is absolutely no restriction or limitation on the language you use to converse and communicate with each other. 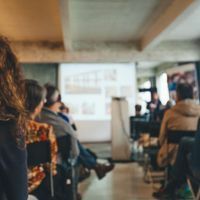 Your career opportunities and recommendations will not in any way be influenced by the language you use outside the classroom,” Klotman writes. On Sunday, biostatistics department chair Elizabeth DeLong sent an email jointly signed by Neely apologizing to her department’s students, according to the Post. The original email asking the students to use English also garnered attention in China. “By Sunday, news of the email had spread on Weibo, a Chinese social media site similar to Twitter, with the hashtag ‘Duke University bans speaking Chinese’ viewed more than 6.7 million times on the platform, according to the South China Morning Post,” notes the Post.